The Calcutta High Court will hear the case again on January 9, PTI reported. The BJP cannot hold a rally tomorrow from Bengal's Coochbehar - the first of three that would crisscross the state ahead of next year's general elections - the Calcutta High Court has said. 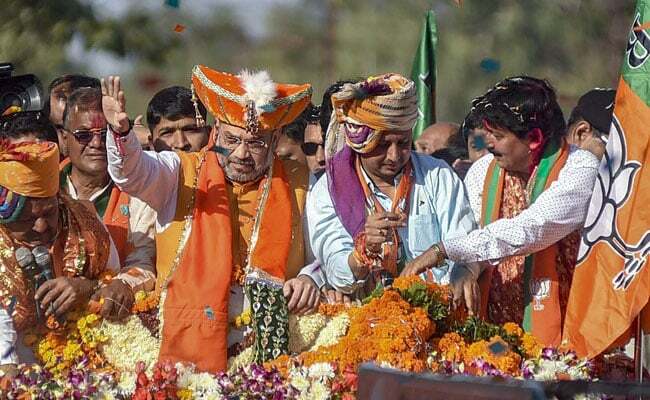 The order came after the state government told that court that it has refused permission for the proposed 'rath yatra' by BJP president Amit Shah, as it might cause "communal tension". The court will hear the BJP's appeal against the order tomorrow morning. "We will be going to division bench tomorrow morning. We will seek justice that any peaceful democratic movement is permissible under Indian Constitution," said Bengal BJP vice president Jay Prakash Majumdar. The 'rath yatra' would have covered all 42 Lok Sabha constituencies in Bengal - one of the few non-BJP states. Mr Shah has set the party a target of 22 of the state's 40 seats in next year's national elections. The BJP currently has two Lok Sabha seats in West Bengal - Asansol and Darjeeling. "The state submitted that it (the rally) might cause communal tension," Bengal's advocate general Kishore Dutta told the court, reported news agency Press Trust of India. Asked by the judge who will take responsibility if anything unfortunate happens, BJP counsel Anindya Mitra had said it is the duty of the state government to maintain law and order. The state BJP plans to hold two other rallies this month. One of them is expected to be flagged off from Kakdwip - in the extreme southern part of the state -- on December 9 and another from the Tarapith temple in Birbhum district on December 14. At the conclusion of the 'yatra', the BJP planned to hold a rally in Kolkata, which was likely to be addressed by Prime Minister Narendra Modi.